Northern Fire-Tech is one of the UK’s leading fire protection companies, specialising in Fire Stopping and is FIRAS accredited. All our clients are given access to our Fire-Tech Software which gives a real-time overview of all Fire Stopping works on each project. This advanced software allows the client to drill down to each area of the job, see evidenced confirmation of the successful completion of each task and get real-time pricing. All our technicians are fully trained and kept up to date with new regulations and Fire Stopping methods. We’re experienced in working on big projects but our attention to the smaller details helps us to stand apart. We never cut corners. For floor and wall applications using a mineral fibre board system provides thermal, acoustic and air sealing. Woven glass fibre blanket fire curtains, providing up to 2 hours fire and smoke protection to unsupported openings. 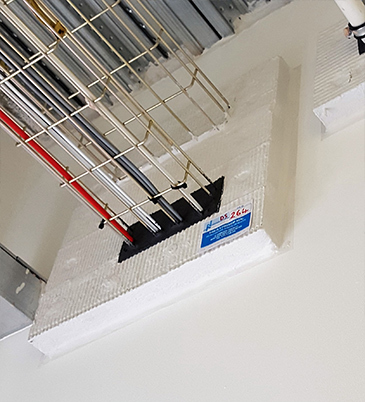 Fire stop coated batt system is used by reinstating the compartment floor or wall when penetrated by building services. Designed to provide up to 4 hours fire resistance of the compartment floor, for multiple-service penetrations. I have worked alongside Northern Fire-Tech on numerous projects. 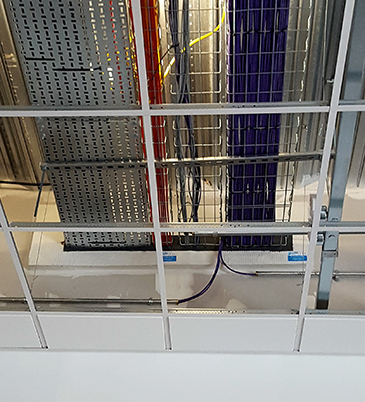 They have recently completed a large project for us at Haribo Production facility, which they completed to a very high standard. I have always found them to be a very customer-focussed company, extremely reliable and provide a professional service in every aspect of their business.